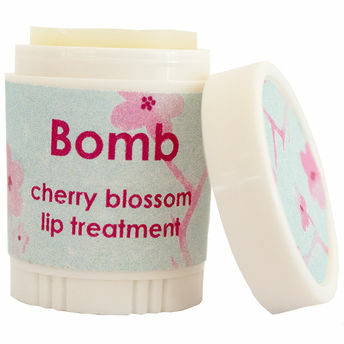 Enriched with Sweet Almond and Olive Oil, Bomb Cosmetics Cherry Blossom emollient lip treatment seals in moisture, nourishes and enhances the natural texture of lips, leaving them looking smooth and luscious. Additional Information: At Bomb Cosmetics, the art of bathing is taken very seriously. 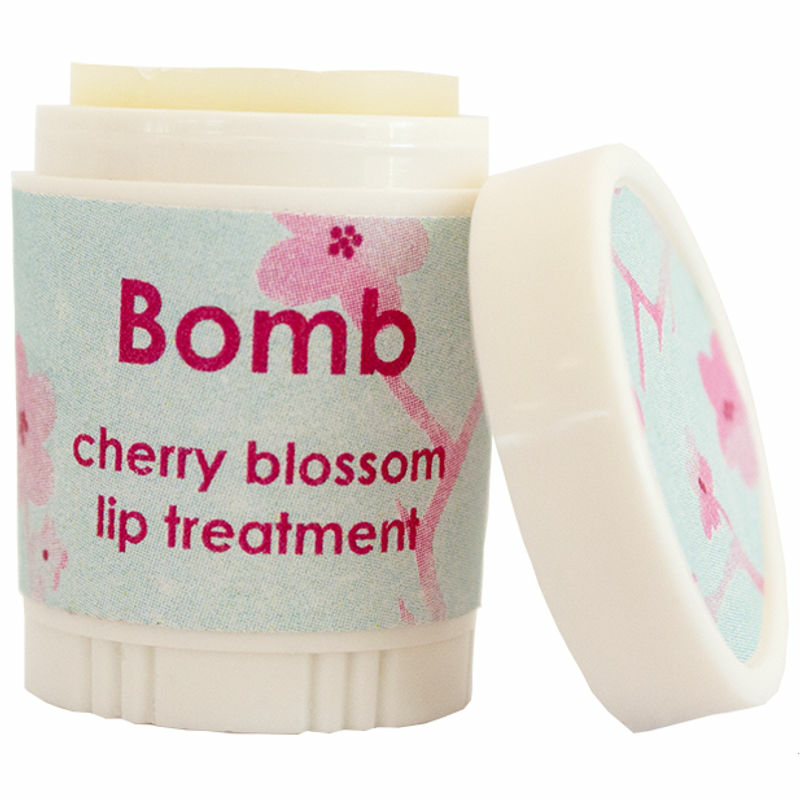 Whether you want to relax after a hard day, refresh yourself before you go out or just lock yourself away for a little time to pamper yourself - Bomb Cosmetics is the way to go! They use the power of essential oils and natural ingredients to prepare 100% handmade love that smells and feels wonderful on the skin, and looks beautiful too. By using ingredients that are purely extracted from plants, flowers and fruit, the products carry the ability to soothe the soul and enhance your mood. They do not test any finished products or ingredients on animals. Explore the entire range of Lip Balm available on Nykaa. Shop more Bomb Cosmetics products here.You can browse through the complete world of Bomb Cosmetics Lip Balm .